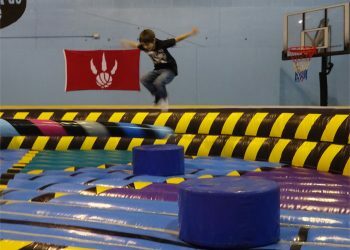 Eliminator Party - Active Kids Zone Inc. EXCITEMENT, THRILL, ADRENALINE, SPEED AND ENDURANCE. Do these words describe your kids? 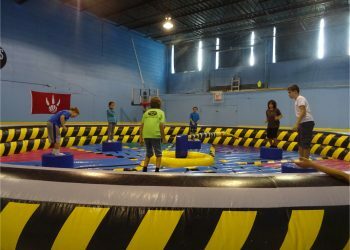 If so, request our brand new Eliminator Party. 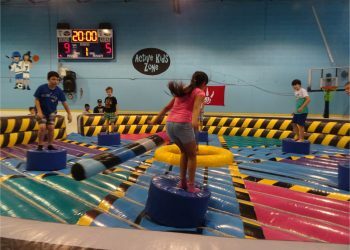 Kids challenge each other and try their best to stay on their podium the longest. Last one standing wins! 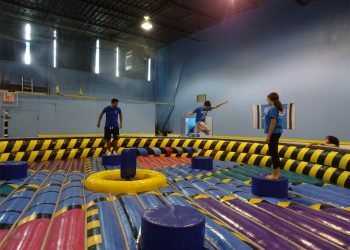 Just like you’ve seen on TV on the popular show Wipeout, 6 participants at a time jump as high and as fast as they can when the sweeper arrives trying their best not to get knocked off onto the inflated floor below, all while keeping their balance. 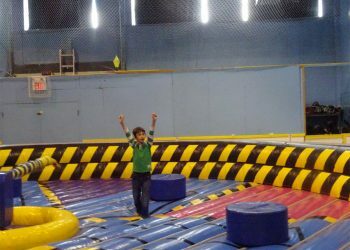 Let your kids and their friends battle it out to be the last one standing and the champion of the Eliminator!! See the Eliminator in action on !